Thank you to everyone who has been attending this class at Renesan. On Monday March 19, we will have our final session. Starting with the Babington Plot, the troublesome Mary Queen of Scots and then working through to Elizabeth's death in 1603. 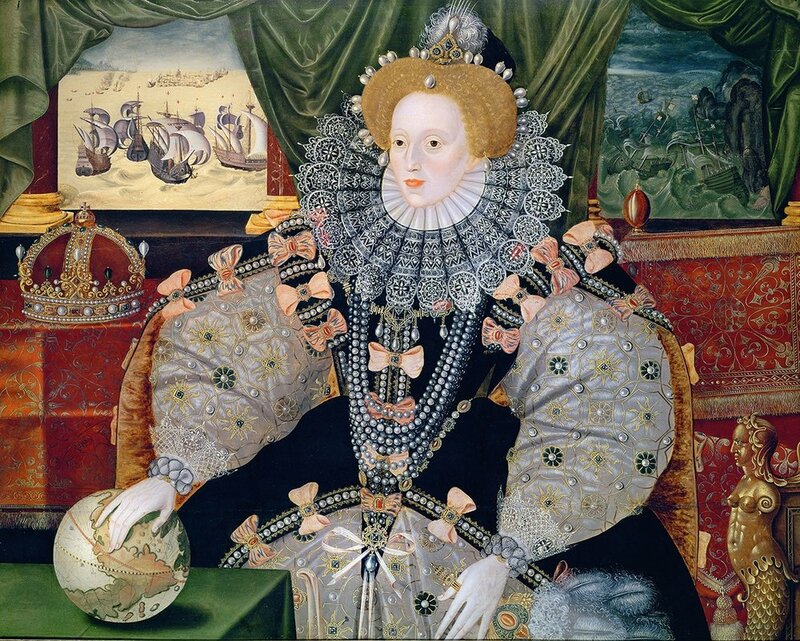 On the way, we will look at the 1588 victory over the Spanish Armada which proved once and for all that God was an Englishman. (S/he may still be English, but it takes on a different color in the 21st century.) Then rush headlong into conspiracies surrounding the succession, the Essex Rebellion, perhaps riot would be a better word, and speculate if the death of Katherine Carey Howard, Countess of Nottingham was really the cause of the queen's final decline. Several people have asked for a reading list and some genealogical charts to help keep track of who's who. Fair enough! I will figure out something, but please be patient with me.